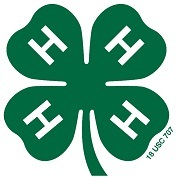 For our 4-H Club members: Carroll County Public Schools are closing 3 hours early and have cancelled all evening activities. Therefore, we will not have our Club meeting tonight. Our next Club meeting is scheduled for Mon, 12-Feb-2018. 24B is going to the Vex VRC World Championships! Kayley Kiesel earns high rank in skills at the Maryland State Championship … More 24B is going to the Vex VRC World Championships! Leave a comment 24B is going to the Vex VRC World Championships! Want a Robotics Demo for Your Group? Have a school activity, scout group, home school co-op, or other event and want robots? Send us a request and we'll do our best to add you to our schedule.